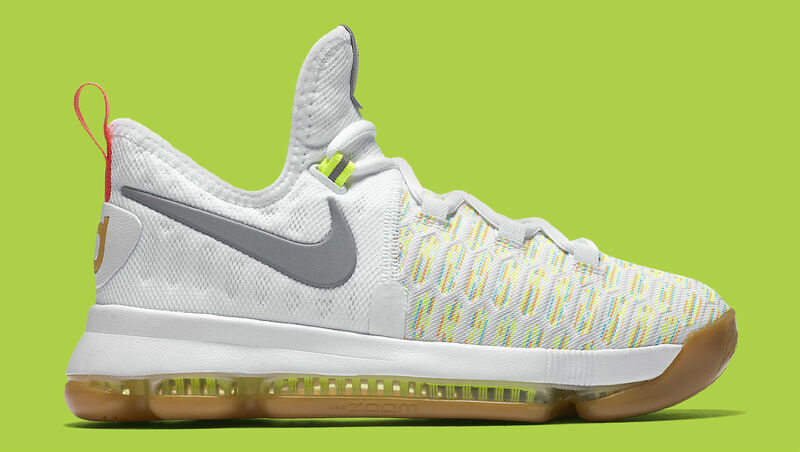 A white "Multicolor" KD 9 is on the horizon. 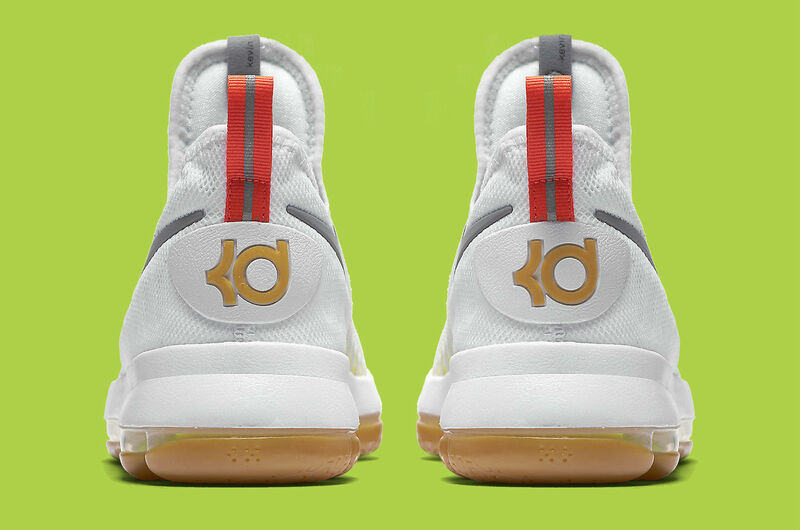 As Kevin Durant's new basketball home plays host to the Golden Air Box, his latest signature sneaker is previewed in a new colorway. 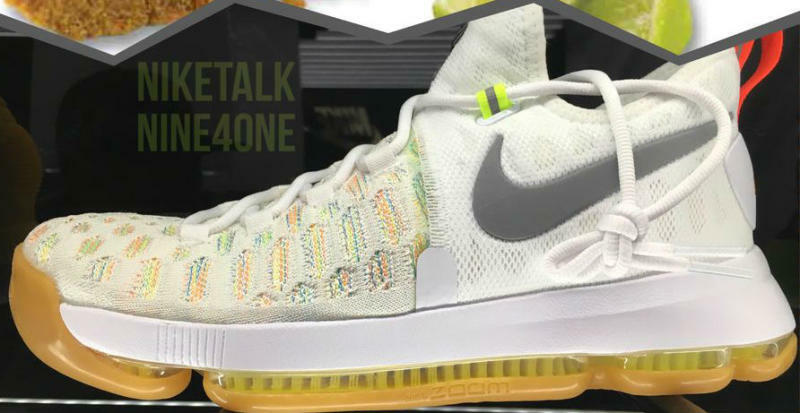 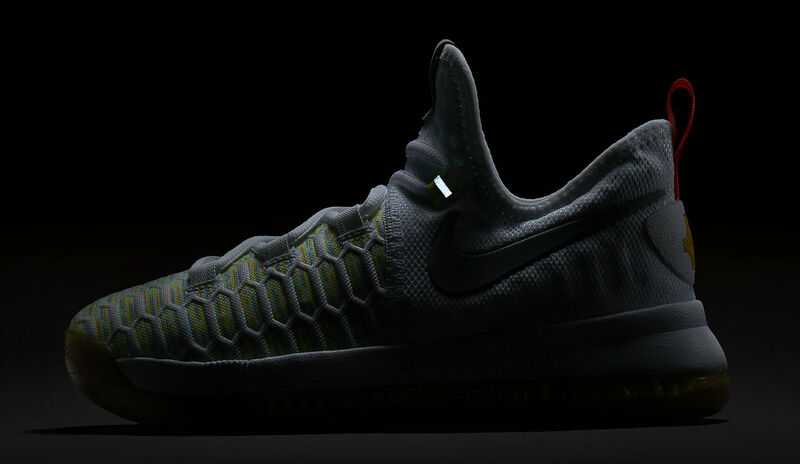 San Francisco sneakerheads were treated to an early look at the Nike KD 9 in another upcoming "Multicolor" option. 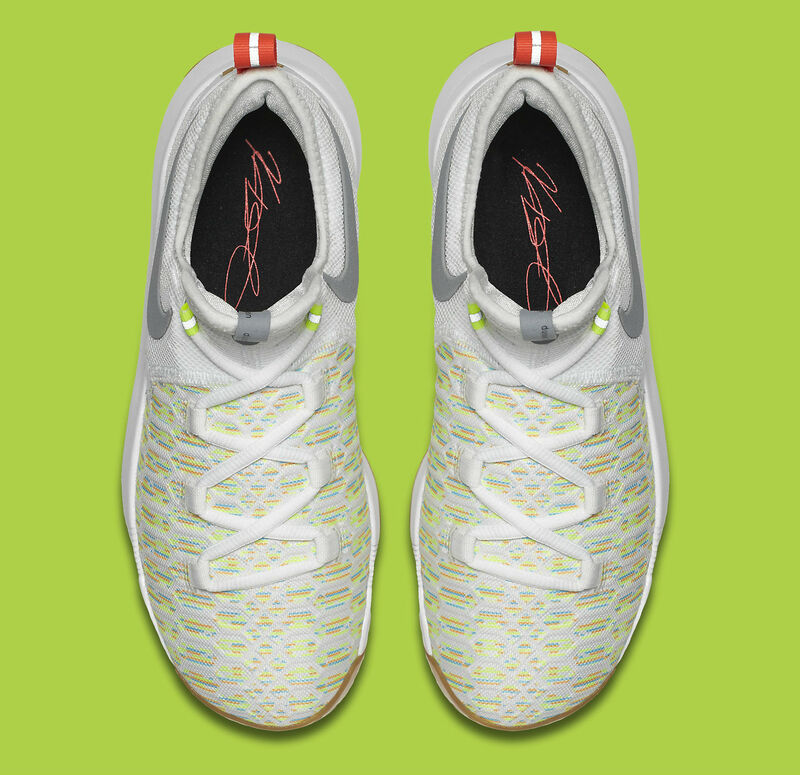 Likened to key lime pie by Niketalk's nine4one, the shoe features a split white and multicolor Flyknit upper, volt lace loops, bright crimson pull-tabs and a gum rubber outsole. 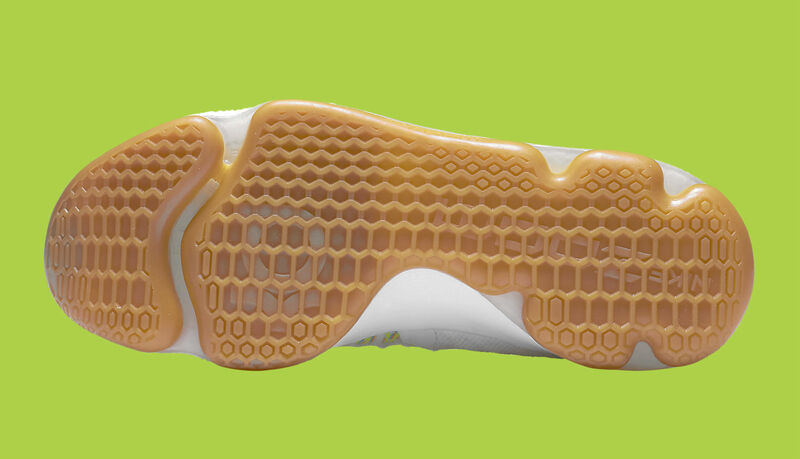 No word yet on when the rest of the world will get to enjoy this new style, but we'll update you with a confirmed release date as soon as it's available. 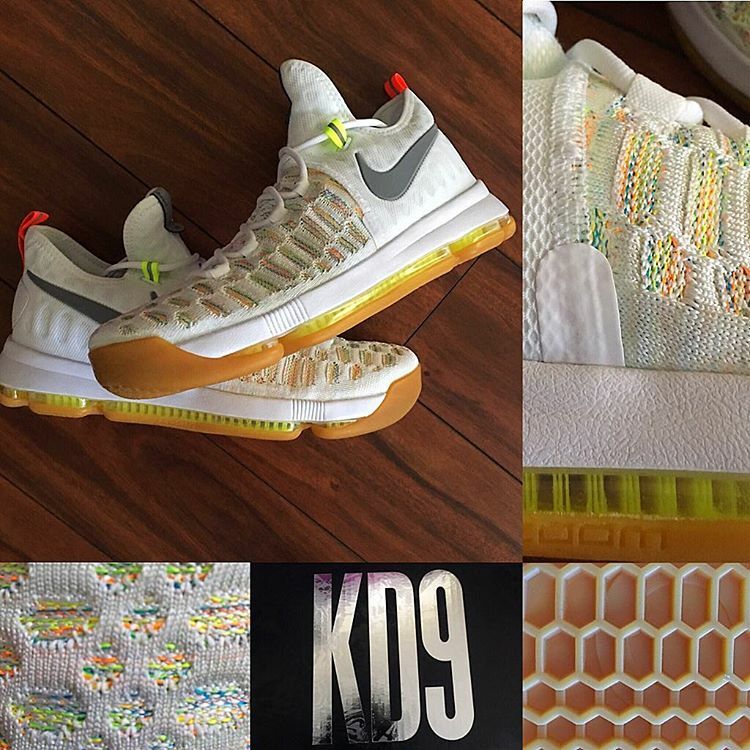 UPDATE 8/4: Official Nike images of the "Multicolor" KD 9 in GS sizing. 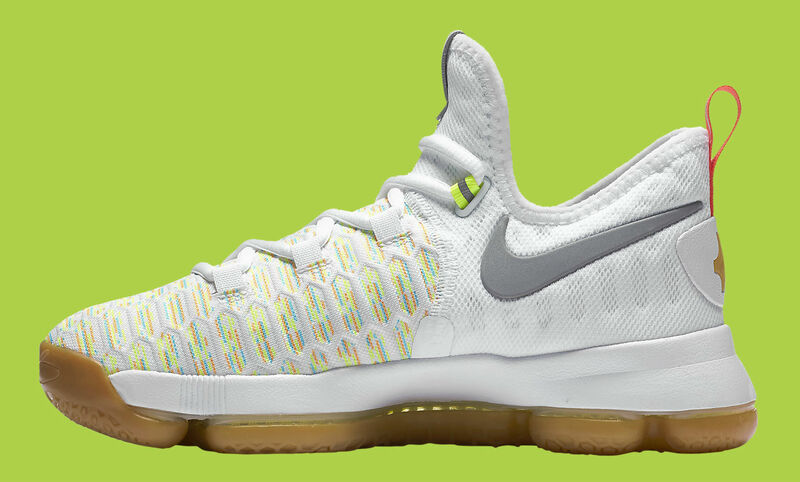 The release date is expected later this month.